Elvis & the Birth of Rock documents an extraordinary bygone era of the music in the fifties where bus tours travelled the States, often presenting several legendary performers in a single billing, through the eyes of photographer Lew Allen and the words of Mike McCartney. Lew Allen's remarkable photography is published here exclusively. 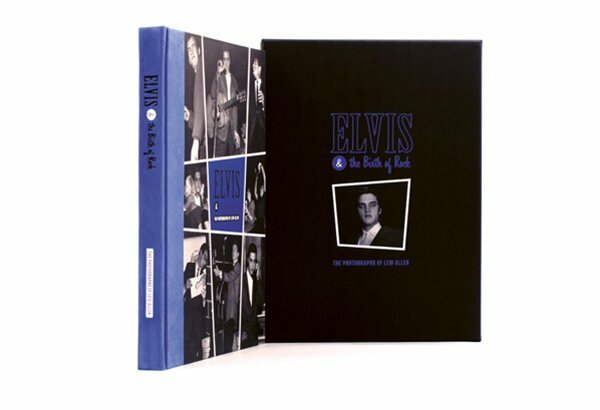 His rare book captures Elvis Presley on stage and behind the scenes; Buddy Holly playing and travelling, only a year before his untimely death; The Everly Brothers as headliners with their hit 'Wake Up Little Susie'; Frankie Avalon primps in front of a mirror; Buddy Holly and Don Everly share private jokes and Bobby Darin singing on stage, winking for Lew's camera. 1956 was a defining year for Elvis Presley as he rocketed from regional celebrity to national icon. In January, his first Number One hit, 'Heartbreak Hotel' was followed by his first album topping the charts in March. On November 23rd 1956, a 17-year-old boy from Cleveland, a passionate photographer who worked for his high school newspaper, was invited to photograph Elvis Presley at the Cleveland Arena, Ohio. A labour strike at the three major newspapers in Cleveland meant that Lew Allen was the only photographer at the show. Interspersed among the photographs of Elvis, are images from two shows in Rochester, New York in 1958, both part of popular music bus tours throughout the States, which included several now legendary groups on the bill. These rare photographs capture Buddy Holly a year before his untimely death, The Everly Brothers as headliners with their hit 'Wake Up Little Susie', Frankie Avalon primping in front of the mirror, Buddy Holly and Don Everly laughing at a private joke, Bobby Darin winking on stage. Alongside the stunning photography, Elvis & the Birth of Rock features a text of over 7,000 words where Lew and guest editor Mike McCartney describe what is was like to be in the presence of these now legendary performers. It was Bob Shatten, Lew's nephew, who began the process towards this momentous book back in 1988 when Lew dug out some old contact sheets which had been gathering dust in his basement for years. Lew, Bob along with Mike McCartney provide an entertaining and illuminating commentary to the photographs, describing their context and significance. 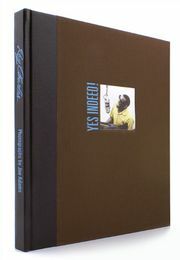 Collector copies are numbered 351 - 1,750 and are signed by the photographer, Lew Allen, and guest editor Mike McCartney. Lew's photographs are printed in an opulent duotone with image varnishing on heavyweight matt art paper and bound exquisitely in blue suede. 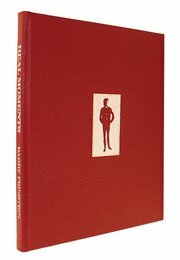 Archive-grade paper, a custom-designed box, silver edging and a production quality second-to-none make this book a real collector's piece that will continue to give enjoyment for many years to come. 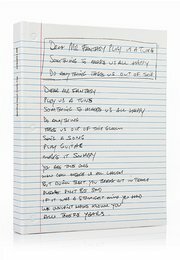 Limited to an edition of just 1,750, the first 350 copies are Deluxe editions and come with three signed and numbered limited edition prints of Elvis Presley, The Everly Brothers and Bobby Darin. All copies are signed by Lew Allen and Mike McCartney. Quarter-bound in blue suede, with printed Imitlin boards, black tooling and silver page edging. An extraordinary insight into a bygone era, when musicians travelled by bus, casually helped each other with lyrics, carried their own stage outfits and were backed by the local orchestra. Guest edited by Mike McCartney. Fully-bound in blue suede with silver tooling and page edging. 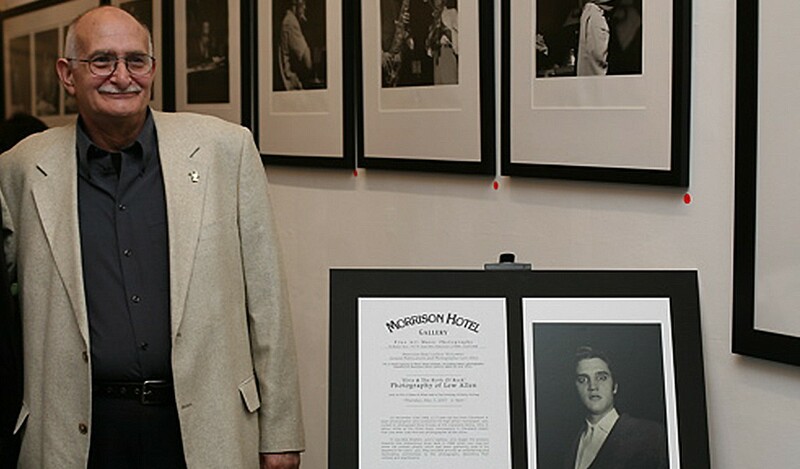 3 signed prints featuring Elvis, The Everly Brothers and Bobby Darin.